HERO features a host of celebrated British actors including Joseph Marcell of Fresh Prince of Bel Air fame, playing the role of writer CLR James; Fraser James, of Terminator Salvation, playing the role of George Padmore and British-Nigerian actor Jimmy Akingbola, of BBC’s Holby, playing Ghana’s first president Kwame Nkrumah. CaribPR Wire, LONDON, UK, Sat. April 6, 2019: The life and times of Trinidadian war hero, judge and diplomat, Ulric Cross, will be portrayed in a new film – HERO to be screened at the British Film Institute, Southbank, London on May 18, 2019. The feature film, produced by former UK resident, Frances-Anne Solomon, has already received international acclaim at its screenings in Trinidad and Tobago and Canada. (not the US yet). The story told is of Cross, a trailblazer who made his mark on history as a Navigator of fighter planes in World War II. He became one of the RAF’s most decorated West Indian Airmen. He then went on to play a central role in the independence struggles of both Africa and the Caribbean. 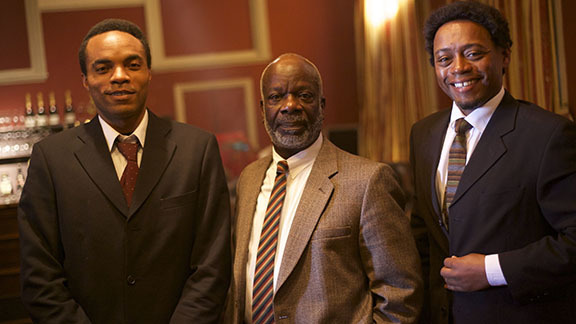 Filmed across the UK, Trinidad, Ghana, and Canada, HERO features a host of celebrated British actors including Joseph Marcell of Fresh Prince of Bel Air fame, playing the role of writer CLR James; Fraser James, of Terminator Salvation, playing the role of George Padmore and British-Nigerian actor Jimmy Akingbola, of BBC’s Holby, playing Ghana’s first president Kwame Nkrumah. 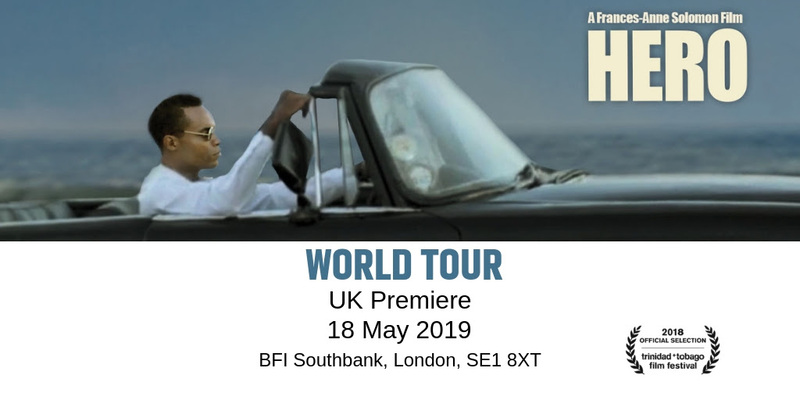 Following its premier at the BFI Southbank, HERO will be taken across the UK in the lead up to the 75th Windrush celebrations in June. Life & Times of Mr Ulric Cross. Filmed in Trinidad, Ghana, the UK and Canada, HERO is the story of Ulric Cross, who in 1941, left his small island to seek his fortune, and became the Royal Air Force’s most decorated West Indian. Then his life took a dramatically different course when he followed the call of history. He joined the African independence movements sweeping the world in the 50s and 60s. An award-winning filmmaker, producer, curator and entrepreneur in film, TV, Radio and new media. Following a successful career as a TV Drama Producer and Executive Producer with the BBC in England, Frances-Anne launched the CaribbeanTales Media Group in Canada and Barbados, which includes Production, International Distribution, and Industry Training worldwide. 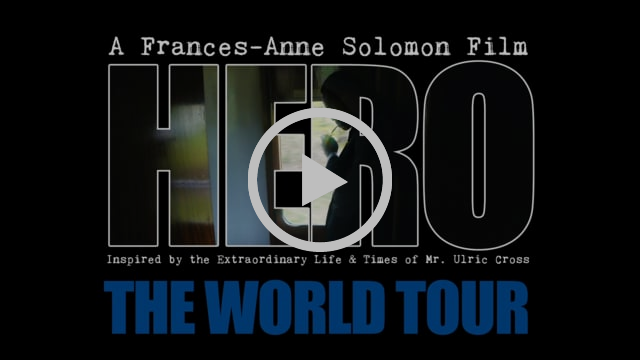 Frances-Anne has just completed her latest feature film HERO- Inspired By The Extraordinary Life & Times Of Mr. Ulric Cross, which (while in development) won the Best Feature Pitch at Discop 2016. CaribbeanTales (CTMG) is a group of media companies that produces, markets, and exhibits Caribbean-themed films for Regional and international distribution, including CaribbeanTales Worldwide Distribution, CaribbeanTales Inc – a registered Charity in Canada. Activities include The CaribbeanTales International Film Festival now in its 14th year; the renowned CaribbeanTales Incubator (CTI) a year-round development and production hub for Caribbean and Caribbean Diaspora Producers; Caribbeantales-TV a VOD streaming service for Caribbean films; and CaribbeanTalesFlix, their production arm. Founded in 1933, the BFI is a registered charity governed by Royal Charter. The BFI Board of Governors is chaired by Josh Berger CBE. The BFI Southbank is open to all. BFI members are entitled to a discount on all tickets. BFI Southbank Box Office tel: 020 7928 3232. Unless otherwise stated tickets are £13.75, concs£11.25 including Gift Aid donation. Members pay £2.20 less on any ticket – www.bfi.org.uk/southbank. Young people aged 25 and under can buy last minute tickets for just £3, 45 minutes before the start of screenings and events, subject to availability – http://www.bfi.org.uk/25-and-under. CaribbeanTales is a registered Canadian Charity no. 87896 4618 RR0001 committed to connecting people through film. This commitment to fostering intercultural understanding includes building community here in Canada, as well as a global community between Canadians and like-minded artists, cultural entrepreneurs, and community builders throughout the Diaspora.